With this annual main course, Lama Jigme Rinpoche continues the tradition of Shamar Rinpoche. 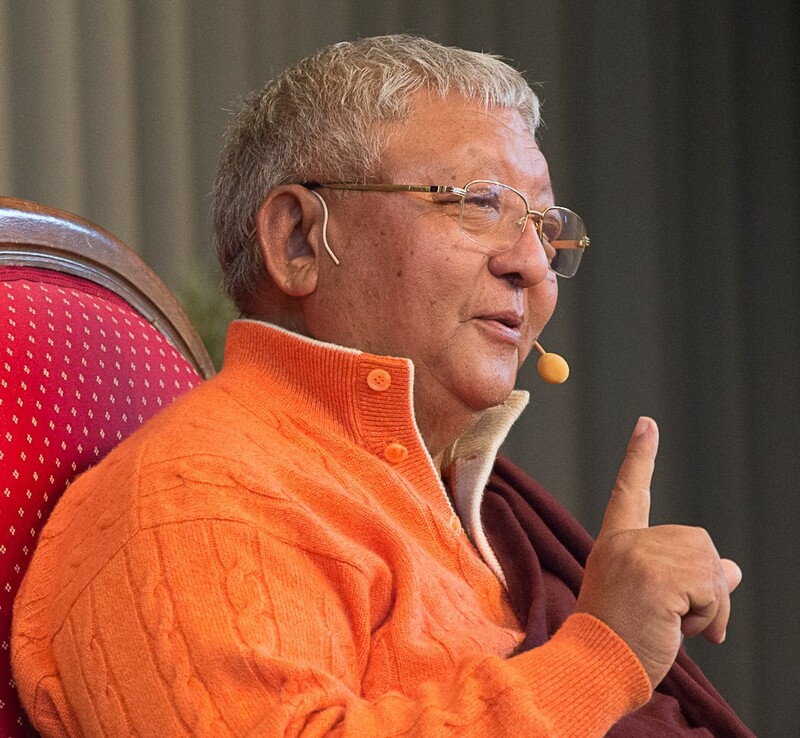 His exceptional teachings, which connect the profound Dharma with Rinpoche’s longtime experience of the modern life style in the West and the warm-hearted way to grant access to the teachings is touching and inspiring at the same time. Developing a deeper understanding helps us to slowly change our habits in the direction of more love and compassion. Each of Jigme Rinpoche’s teachings supports us in this process. Lama Jigme Rinpoche received his education directly from H.H., the 16. Gyalwa Karmapa, with whom he spent his entire youth. For decades already, Rinpoche is guiding the Buddhist center Dhagpo Kagyu Ling in France, which is also the European main seat of Thaye Dorje, H.H., the 17. Karmapa, of whom Jigme Rinpoche is the General secretary. for a smooth organization of this event in the hall we would be happy for your help. If you are willing to give us a hand (parking, tickets, cleaning, etc. ), please, contact Nina directly: nina.teuber@yahoo.de. Thank you very much for your support! !